Isabel Lee | Malaysian Beauty & Lifestyle Blogger: [Entertainment] Fox Announces X-Men Show - Here Are 5 Big Wishes! [Entertainment] Fox Announces X-Men Show - Here Are 5 Big Wishes! The biggest news in entertainment this past week was undoubtedly the announcement that Fox is making an X-Men TV show, with film director/producer Bryan Singer on board as an executive producer. This follows a growing trend of superhero television shows, and in the aftermath of projects like Agents Of S.H.I.E.L.D., Gotham, and Daredevil (to name a few), expectations are going to be high. We know that the show will concern a normal family in which the parents discover that the children have mutant superpowers. They'll then be forced into hiding, and simultaneously into the company of other mutants fleeing the government and perhaps society at large. But at this early stage, that's about all we know about this show. But here are a few more things we hope we'll see! We've gotten used to the idea of superhero projects under the same studio being connected. Naturally, Marvel Studios pioneered the idea by connecting its various franchises under the Avengers umbrella, and now even shows like Daredevil and Elektra take place in what's popularly referred to as the "Marvel Cinematic Universe". Well, about a year ago writer/producer Simon Kinberg signed up with 20th Century Fox to help with their superhero projects, he admitted that the goal was to be like Marvel. Specifically he was referring to a unified vision between films, making them all part of the same world. The hope among a lot of TV fans will surely be that the coming X-Men show fits into this same vision, and that the characters exist in the same "world" as those in the X-Men movies. This is likely going to be a very popular show, and in a way that means the casting shouldn't add much pressure to the producers. Fans will likely fall in love with any actors who wind up playing X-Men on a popular TV show. But some of the other superhero shows we've seen have done well by casting actors who were recognizable, if not stars yet. For instance, Charlie Cox (who plays Daredevil) had been in a few major projects, and Krysten Ritter (Jessica Jones) had a sort of following after her role in Breaking Bad. So it would be nice to see the X-Men show rope in a few actors that fit a similar profile. Perhaps one or two promising Game Of Thrones actors who were killed off too early? It might be unlikely, but it would be incredible to see Hugh Jackman's Wolverine make a few cameos. 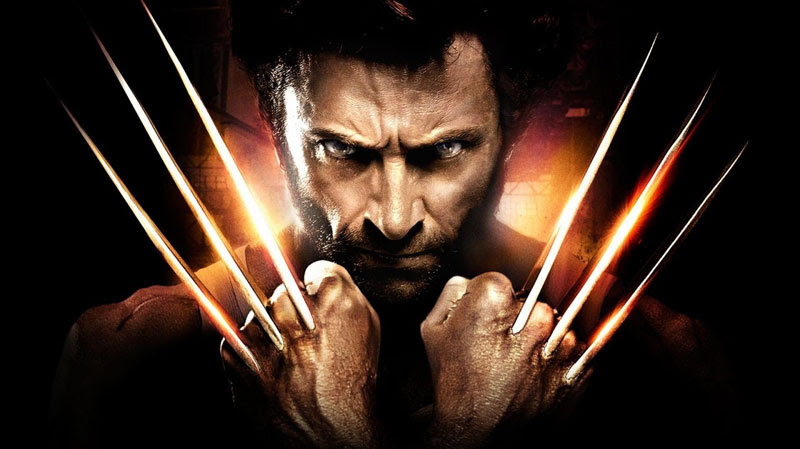 He's the undeniable face of the X-Men film franchise, having appeared in eight films (with a ninth on the way), and even become the face of the characters in gaming. He's one of the only X-Men characters to headline his own console game (and Jackman did the voice acting), and an X-Men slot machine game that's based on the classic Marvel comic even uses Jackman's face for an image, rather than that of a drawn, comic character. In that game multiple characters from the film are there on the slot wheels, but Jackman's face stands out the most. Simply put, Jackman and Wolverine are the modern X-Men. Even a few small appearances would make this show more legitimate. It probably goes without saying that it would be great to see some new X-Men characters introduced through this show. We've seen a great many of them in film, but there are many more that haven't yet been adapted in modern projects, and this show has a chance to interpret a lot of them. Among the popular suggestions making the rounds already for future X-Men projects are the likes of Morph, Polaris, Spiral, and others - but again, there are tons of fun possibilities here. We know that Bryan Singer is on board as an executive producer, and that he's been one of the true creative masterminds behind the X-Men films. But producer can be a flexible role, and there's no telling just how directly involved he'll be. Perhaps the most important thing for this show's quality is that he's actually involved in the creative process, rather than simply attached by name to lend the show credibility.